Pakistan players celebrate their victory against South Africa (AP Photo) HIGHLIGHTS Pakistan beat South Africa by 27 runs in the third and final T20I in Centurion Mohammad Amir took 3 for 27 while Shadab Khan and Faheem Ashraf collected two wickets each South Africa took the series 2-1 and also won the Test and one-day contests Pakistan won the final Twenty20 against South Africa by 27 runs on Wednesday to end its tour with a positive result having already lost all three series. 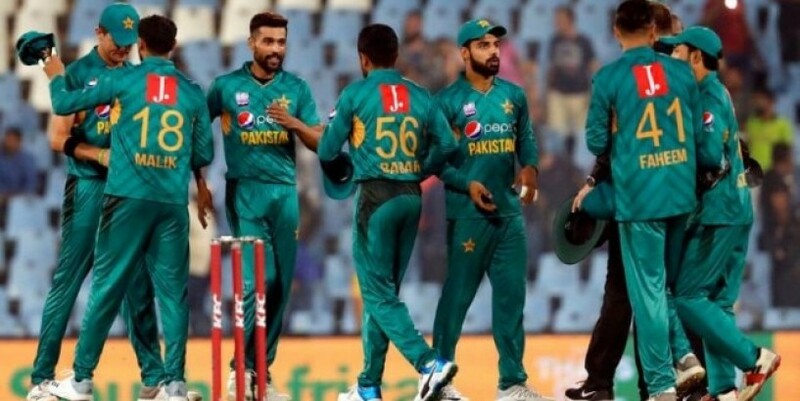 Top-ranked T20 team Pakistan defended their total of 168 for 9 when they held South Africa to 141 for 9 in their 20 overs at SuperSport Park. South Africa took the series 2-1 and also won the Test and one-day contests. South Africa couldn't round off a whitewash in the T20s despite a late half-century by Chris Morris, who hit 55 not out off 29 balls but had too much to do at the end. Morris reached his maiden T20 50 with consecutive sixes off Shaheen Afridi in the final over, when South Africa was left needing 40 runs off the last six balls. Mohammad Amir took 3 for 27 to lead Pakistan's bowlers and Shadab Khan and Faheem Ashraf collected two wickets each. Left-arm spinner Imad Wasim and Afridi were key for Pakistan in an impressive bowling performance as they restricted South Africa in the early overs. Both went for less than six an over. Wicketkeeper-batsman Mohammad Rizwan top scored for the tourists with 26 after Pakistan was put in to bat. There were also contributions from Asif Ali (25) and Babar Azam (23) and although Pakistan's total wasn't huge, it was enough. Shadab hit 22 not out off just eight balls in a crucial late effort, launching three sixes and plundering 21 runs off the final over of the innings. Left-arm seamer Beuran Hendricks's career-best 4 for 14 for South Africa came in a losing effort.